SOPRA-XPS 40 is a rigid thermal insulation board made of high-density extruded polystyrene with squared edges on its four sides. It is composed of closed cell foam. 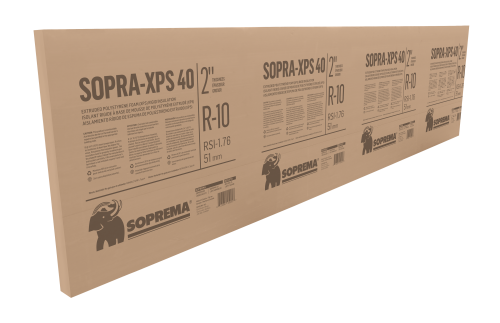 SOPRA-XPS 40 is designed for applications requiring high-density insulation on which heavy loads will be applied. 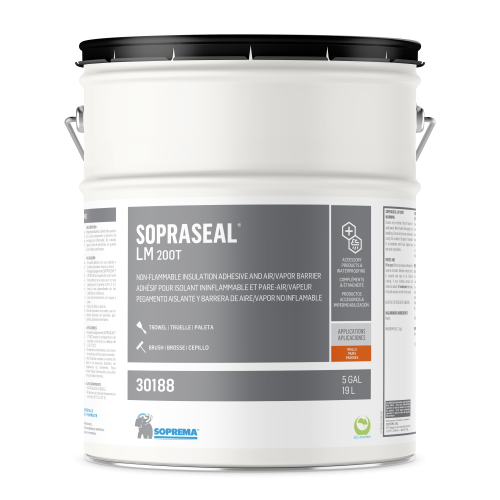 It is mainly used for SOPREMA foundation systems under slabs, protected-membrane roofing systems (inverted), parking decks, and plaza decks. Compliant with CAN/ULC S701.1, Type 4.